Bollywood’s best dressed celebrity Sonam Kapoor has been out and about promoting her upcoming film Raanjhanaa with co-star Dhanush. You remember the over night hit song ‘Kolaveri di’ don’t you? The South Indian film actor/singer has earned himself the lead role in Krishika Lulla’s latest film. While no one can say if the movie itself will redeem Sonam as an actress, the music has been composed by A.R.Rehman and we will pin our hopes on that factoid for now. 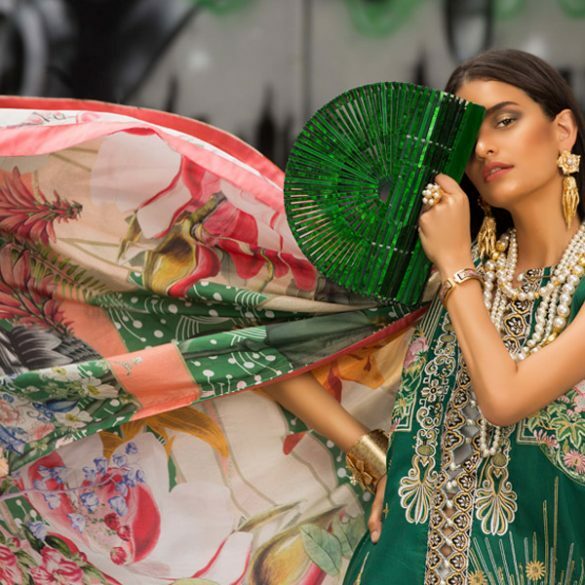 But back to Sonam Kapoor’s quintessential ethnic styled looks for the promos that were all created by her top favorite Indian designers; Shehla Khan, Anamika Khanna, Anupama Dayal, and Gaurang Shah. The twenty-eight year old actress who was just on the June cover of Vogue India wearing Alexander McQueen and scorching up the red carpet at Cannes 2013 Film Festival in Dolce & Gabbana, has gone into ultra traditional mode in line with her character in the film. But that’s the rare quality she possesses, no matter what she wears she looks like she belongs on a magazine cover! Sonam Kapoor is nothing if not loyal to the designers she patrons. She is seen most often in Shehla Khan and Anamika Khanna both of whom she wore to Cannes as well. However she seems to have dropped Masaba Gupta from her list which is a shame since we loved seeing her in the designer’s quirky print saris. We were thrilled to see Sonam in a vintage floral printed sari with classic shoulder puff sleeves by Shehla Khan. The look is so beautiful compared to the over done slinky bikini top saris typical of Manish Malhotra. Even her Anupama Dayal parrot green and pink color block sari was a delightful sight. She continues to impress us with her independent style sensibilities. Sonam was spotted in a Shehla Khan white lace sharara with an odd length blouse, and another very similar ivory creation. These were slightly off the mark and repetitive. She wore an Anamika Khanna gold midriff choli and tulle lehnga at the Jhalak Dikhlaja show that had a black turtle neck on the neck line to bring focus to her statement kundan and polki necklace. We think both designers are capable of much better and this ensemble was more along the lines of Manish Malhotra’s cinematic boredom. The Gaurang Shah beige gold and fuchsia pink classic village lehnga was much more appealing and the twisted braid, big jhumka earrings, and tribal tassled back all worked together to enhance the beauty of the outfit further. She wore a Kanjeevaram orange sari with a gajra in her bun and pouch to match for her appearance in Chennai. This ensemble was clearly more motivated by her film promotion rather than her own personal style. Her Sailex white lace neck dress was very sweet paired with ballet flats and we adore how she always does something to her hair be it a twisted knot or a braid, you will hardly Sonam let her hair down even though she has a gorgeous long mane. Sonam opts for vintage 50’s glamor in a pale blue full pleated skirt dress paired with a cropped blazer by Paule Ka complete with a jeweled brooch pin, and once again in a floral print boat neck dress and retro hairdo that reminds us of the popular show Mad Men. It seems the actress is strongly undergoing a retro chic glamour phase at the moment and we love it. Which is your favorite Sonam Kapoor look? Take a look at some of her most memorable style moments on our Sonam Kapoor Style File.